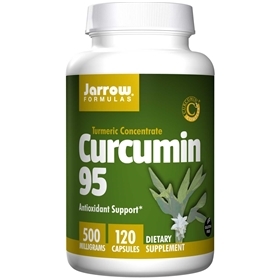 Curcumin 95 is a concentrate of 95% curcuminoids, which are powerful antioxidants found in the spice turmeric root. Specifically, curcumin and its derivatives protect DNA against oxidative damage induced by reactive oxygen species. Take 1 capsule per day with food or as directed by your qualified health care consultant.